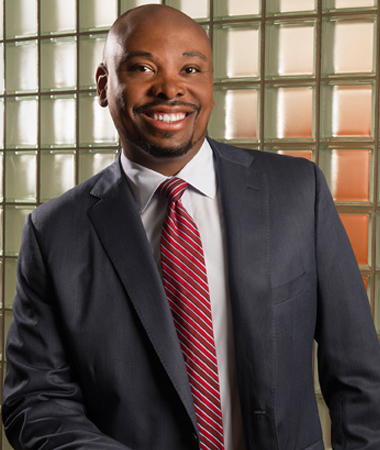 James E. Taylor is both chief diversity and inclusion officer and chief talent management officer at UPMC, one of the nation’s largest and most successful integrated health care delivery and finance systems. In his capacity as chief diversity and inclusion officer, Dr. Taylor is responsible for the development and implementation of leading-edge diversity initiatives that differentiate UPMC. To this end, he executes next-generation inclusion strategies that advance the diversity management capability of UPMC, and its national presence as a health care provider and insurer. As chief talent management officer, Dr. Taylor provides oversight to the design and execution of an integrated roadmap that provides UPMC with highly effective and technologically advanced employee learning, organizational development, succession planning, and consultative services aligned to the institution’s long-term priorities. Prior to joining UPMC, Dr. Taylor served as chief learning and diversity officer at Carolinas HealthCare System. In this role, he was charged with driving the transformational culture of the organization through the development of products and services that improved its competitive position in the marketplace. Dr. Taylor has also served as executive director, diversity strategy execution and workplace inclusion at Kaiser Permanente, one of the nation’s largest not-for-profit health plans. Dr. Taylor earned both a doctorate and master’s degree in organizational psychology from the California School of Professional Psychology at Alliant International University, and completed his undergraduate studies at Ithaca College in New York, where he now serves on the board of trustees. He received an executive leadership certificate from the Harvard Business School. Dr. Taylor has been awarded for his work both within and outside the health care industry, as he is actively engaged in many philanthropic and community-based endeavors, holding multiple board appointments and supporting numerous charitable activities.